At this time of year it is traditional to make New Year’s resolutions. But many of us fail to follow through with our resolutions. Turning over a new leaf in the New Year is not always easy, but finding a way to stick with your resolutions is important if your new leaf benefits your dental and overall health. 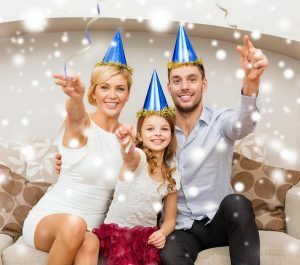 At The Glenroy Dental Group, we want you to make sensible, achievable resolutions. If you do want to take better care of teeth and gums this year, we have several simple resolutions. Even though it is easy to put dental appointments off, doing so is penny wise and pound foolish. Visiting your dentist ensures that your mouth, teeth, and gums stay healthy, and working with your dentist you can avoid costly dental damage and disease. Dentists recommend cutting back on sugar and adding more orally healthy foods to your diet to increase your diet’s benefit to your teeth. High-calcium dairy products are great for your teeth, as are fibrous foods that create saliva while scrubbing away plaque and other small bits of food. This is by far the easiest resolution to make, and it has some of the greatest payoff. By simply brushing twice a day for more than two minutes each time, you can make a long term investment in your dental health. Add flossing at least once a day to your habit, and you can double down on oral health in 2017! If you are a tobacco user, there is little more important you can do to improve your oral and overall health that quitting. Smoking increases the risk for both gum disease and oral cancer. Ask your Glenroy dentist or hygienist for help in quitting smoking. Work on your teeth, gums, and smile! 2017 is the perfect year to address any nagging issues that you still need to address. Braces, crowns, or veneers can improve the ability to chew and give you a winning smile to show the world. Dark or stained teeth can be whitened with professional teeth whitening, resulting in improved appearance. There are a variety of dental treatments and procedures to improve your smile (and dental health), and your Glenroy Dental Group dentist will be happy to discuss them with you. At The Glenroy Dental Group, your dental and general health and happiness are our goals. We look forward to working with you in 2017 and over your lifetime. The highly trained staff at Glenroy Dental Group uses the most modern technology available and employs the latest dental techniques. New Patients Offer: Dental exam, scale and clean for only $99. Call us on (03) 9306 6511 or book your appointment online. We have ample parking space and are within an easy walking distance of the Glenroy train station.